Lecture, ‘An Insider View, the Twists & Turns in International Venture Capital,’ Nastas lecture to MBA students, the private equity class, Ross Graduate School of Business, University of Michigan, 18 January 2012. 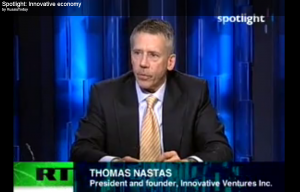 My television interview on innovation, Moscow based channel called Russia Today (in English). About 26 minutes in duration. 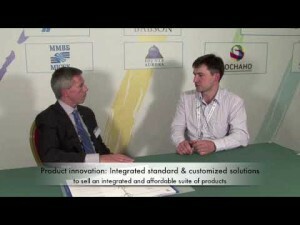 This video (6+ minutes) describes the ‘Scaling Up Innovation’ project. 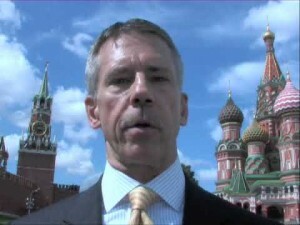 Filmed in Moscow, on the street behind St. Basel’s cathedral, it is a bit noisy at times due to road traffic. Just turn up the volume. Nastas interviewing (9 minutes) Yigal Erlich, Chairman of the fund-of-funds called ‘Yozma,’ Israel. Yigal is also a member of the Board of Directors, the Russian Venture Company, the Russian Government’s fund–of-funds making investments to encourage the development of an early stage tech VC industry in Russia. Nastas interviewing (6 minutes) Fausto Boni, General Partner, 360° Capital Partners, Milan, Italy, at the Russia Tech Tour, Moscow, Russia.